Such a rare beauty! Come check it out today!! New Arrival !! Only 8,109 Miles !! 2 Owners Since New !! $196,550.59 When New ! !Aston Martin engines are built from start to finish in approximately 20 hours by one technician in the company's new facility in Cologne. 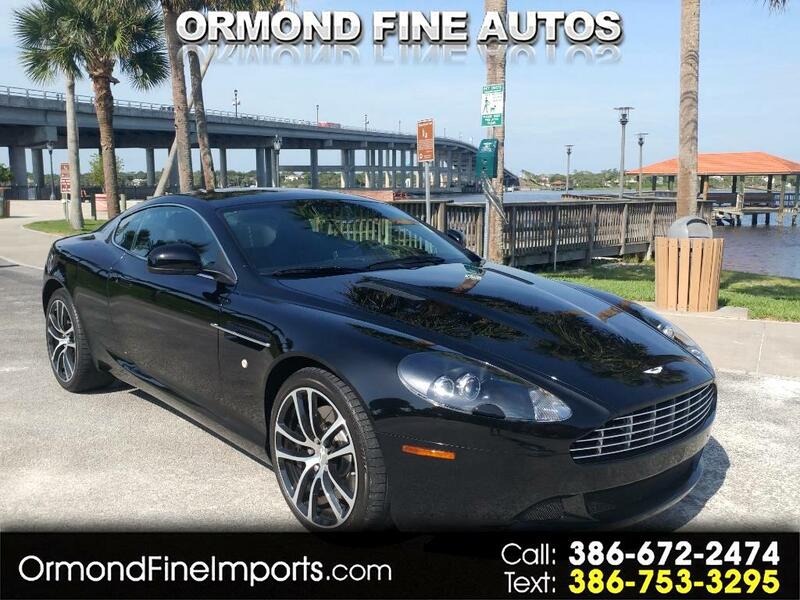 The industry loves the 2011 Aston Martin DB9 because its steering is precise, the interior is exceptional, the exterior exudes exclusivity and it has one of the smoothest rides in the class !! As an exotic sports car, the 2011 Aston Martin DB9 is up against tough competitors like the Lamborghini Gallardo and Ferrari California. If you look at the DB9’s specifications, you may think that the its powerful V12 engine gets lost among these models because their top speeds are higher and they produce more horsepower. But car reviewers say that’s just not so. The Aston Martin DB9 holds its ground because it offers one thing the Gallardo and California don’t: a fine-tuned suspension, which creates a comfortable ride that’s great for long trips !! Message: Thought you might be interested in this 2011 Aston Martin DB9.